Amphibious. The fog crawler can breathe air and water. Tough. The fog crawler reduces the damage of bludgeoning, piercing, or slashing attacks by 3. Multiattack. The fog crawler makes two attacks with its claws and one with its head jab. Head jab. Melee weapon attack: +7 to hit, reach 5 ft., one target. Hit: 12 (2d8 + 3) piercing damage. Claws. Melee weapon attack: +7 to hit, reach 5 ft., one target. Hit: 10 (2d6 + 3) slashing damage. Radioactive Glow. The glowing fog crawler sheds bright light in a 20-foot radius and dim light for an additional 20 feet. Head jab. Melee weapon attack: +7 to hit, reach 5 ft., one target. Hit: 12 (2d8 + 3) piercing damage and 9 (2d8) radiation damage. Claws. Melee weapon attack: +7 to hit, reach 5 ft., one target. Hit: 10 (2d6 + 3) slashing damage and 9 (2d8) radiation damage. Multiattack. 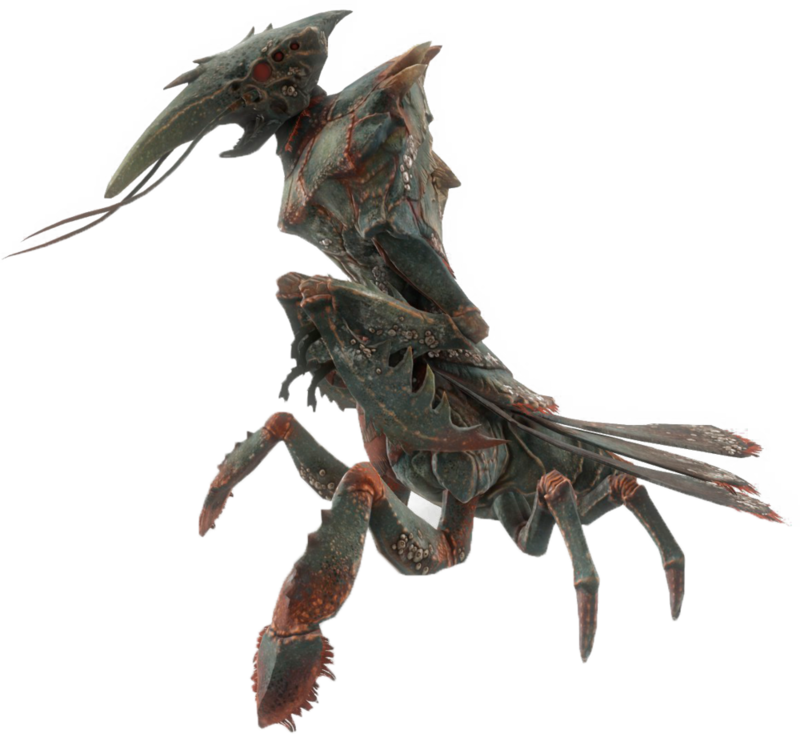 The fog crawler makes three attacks with its claws and one with its head jab. Head jab. Melee weapon attack: +8 to hit, reach 5 ft., one target. Hit: 12 (2d8 + 3) piercing damage. Claws. Melee weapon attack: +8 to hit, reach 5 ft., one target. Hit: 10 (2d6 + 3) slashing damage. Multiattack. The fog crawler makes three attacks with its claws and two with its head jab. Head jab. Melee weapon attack: +9 to hit, reach 5 ft., one target. Hit: 13 (2d8 + 4) piercing damage. Claws. Melee weapon attack: +9 to hit, reach 5 ft., one target. Hit: 11 (2d6 + 4) slashing damage. Primal Fury. The enraged fog crawler has advantage on Strength checks and Strength saving throws, and adds +3 to its melee damage rolls (already included in its attacks). Head jab. Melee weapon attack: +9 to hit, reach 5 ft., one target. Hit: 16 (2d8 + 7) piercing damage. Claws. Melee weapon attack: +9 to hit, reach 5 ft., one target. Hit: 14 (2d6 + 7) slashing damage.